On Saturday, DJ Khaled hosted a carnival-themed second birthday party for his and wife Nicole Tuck's son Asahd at Marlins Park, home of the Miami Marlins. The bash also celebrated the launch of Asahd's Initiative, a new program from the We the Best Foundation, which focuses on enriching the lives of the next generation from childhood to adulthood. About 150 inner city kids and members of community groups such as local Boys and Girls Clubs and Connecting Families joined the family. There were carnival rides, games, a petting zoo, music as well as an Asahd Khaled Brand Jordan Collection fashion show. 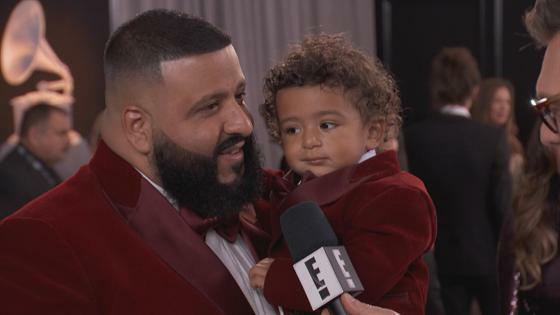 Asahd, who often accompanies his dad to award shows and other celebrity events, was all smiles at the party, where he was presented with a child-size Ferrari and a matching Ferrari stroller, as well as a Marlins jersey. He also received a six-tier carnival-themed birthday cake. Derek Jeter presented a $100,000 check to the charity on behalf of the Marlins. Other celebrity guests includedAngela Simmons and Yo Gotti and child star TJ Wright. Last year, Khaled threw his son a jungle-themed first birthday party at Miami nightclub LIV at Fountainebleu Miami Beach.